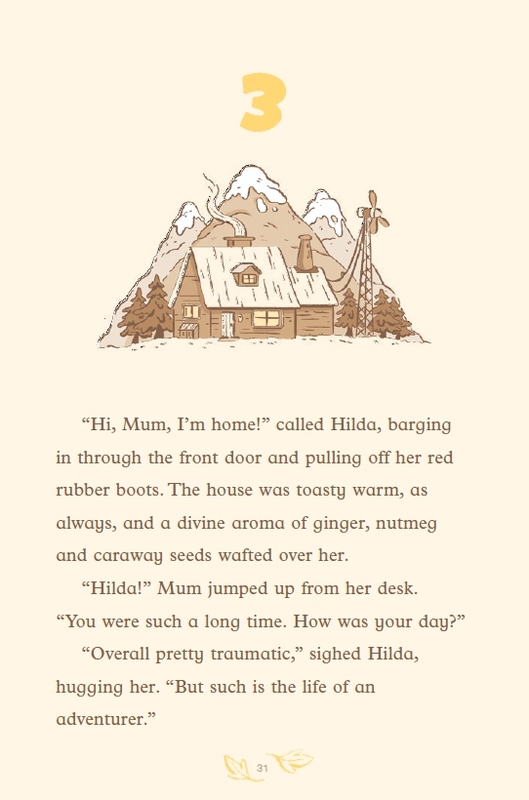 I confess, I hadn’t heard of Hilda until this time last year. I first encountered her in the article Here Comes Hilda in the New Yorker. I was intrigued. 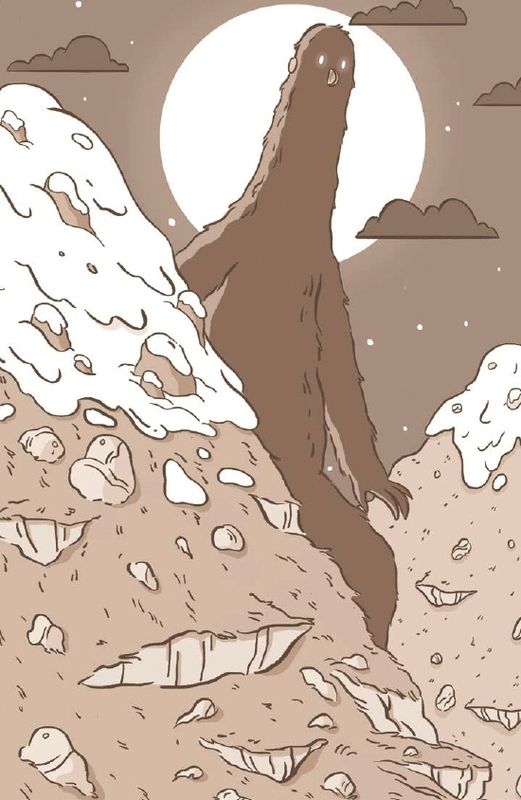 Then I read HILDA AND THE TROLL and joined the ever-growing tribe of Hilda fans worldwide. Now I have the comics beside me as I write, an ‘Ancient Giants’ poster on the wall in front of me and Hilda herself for a desktop wallpaper. 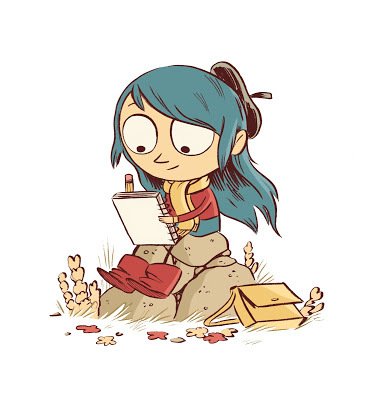 Hilda was created in 2009 by Luke Pearson, when he was still at school. He drew a picture of a blue-haired girl wearing a beret, scarf, red top, blue skirt, and big red boots. She had a Scandinavian city behind her and was surrounded by all kinds of strange creatures. 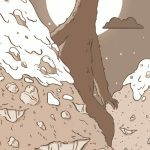 That one picture led to five comics (published by Flying Eye Books), a Netflix animation (coming soon) and now an illustrated fiction series. That’s where I come in. 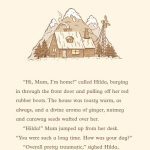 I am grateful to Flying Eye Books for introducing me to Hilda, and even more grateful to them for the opportunity to join Team Hilda and write stories about her. 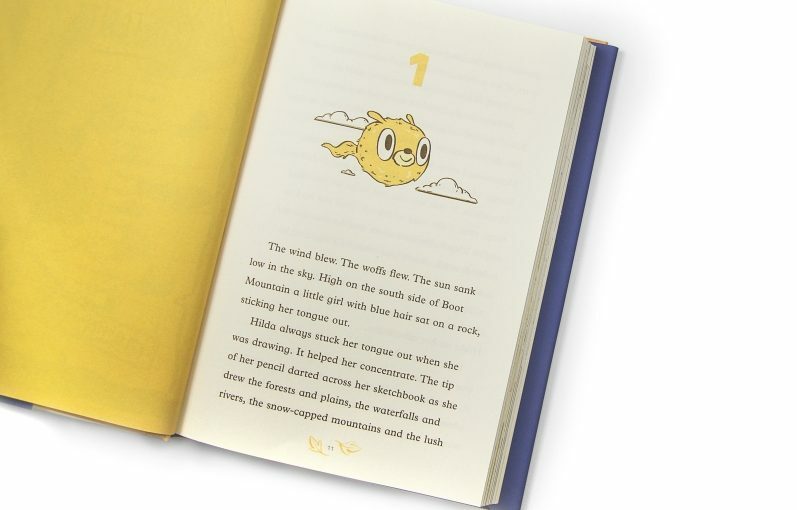 She is a delightful character to write – warm, brave and boundlessly optimistic. The books themselves are TV tie-ins. 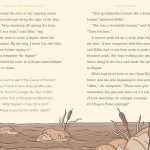 They are based on plots from the Netflix series and illustrated by Seaerra Miller. 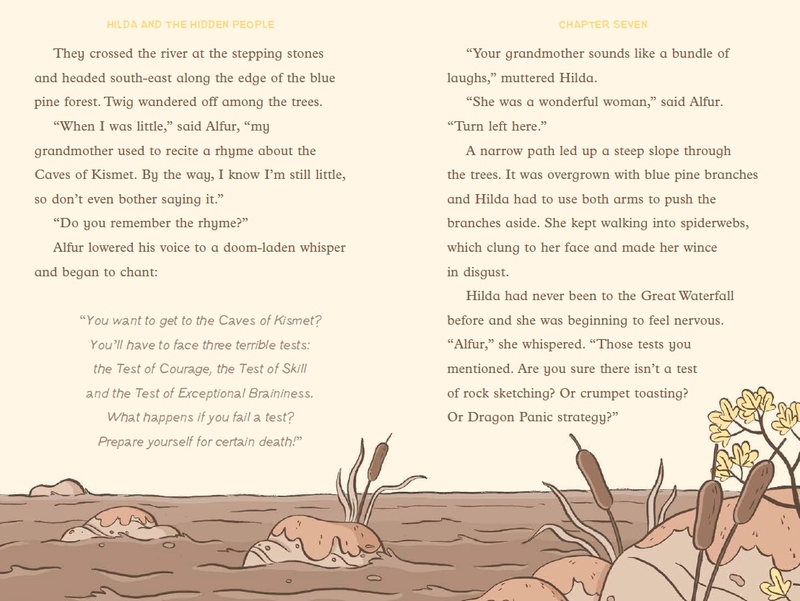 Our hope is that the books will bring the irrepressible Hilda to a whole new audience. 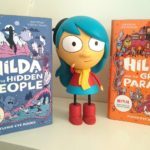 On Thursday this week (6 September), we’re having a launch for HILDA AND THE HIDDEN PEOPLE at Waterstones on Tottenham Court Road. Come along at 6.30pm for an exclusive preview screening of Episodes 1 and 2 from the Netflix series, followed by a Q&A with me and Sam Arthur, co-founder of Nobrow and Flying Eye Books. The event itself is free, and of course copies of the book will be available afterwards for sale and signing (retail price £9.99). The Hilda launch went really well last night. It was exciting to see some of the Netflix animation (up until last night I had only read the scripts) and to chat to lots of Hilda fans, almost all of whom have been following Hilda’s adventures for much longer than I have. 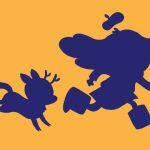 I really liked the way Bella Ramsey voiced Hilda, and I loved the two woff-ride sequences! Sam Arthur was unfortunately not able to be with us last night, but my daughter Liberty (8) stepped intrepidly into the role of interrogator. 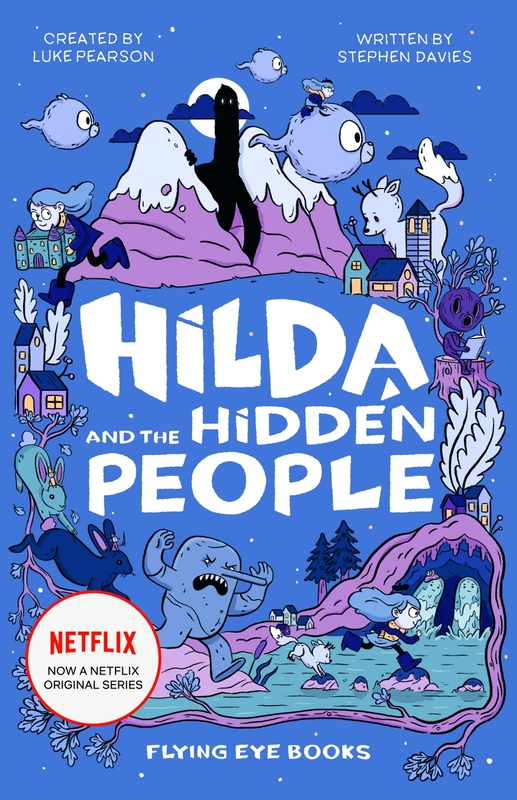 She asked me some lovely questions and also a couple of downright uncomfortable ones, including this zinger: Daddy, we have the Hilda comics and now the Hilda Netflix series, so why do we need YOUR books too? 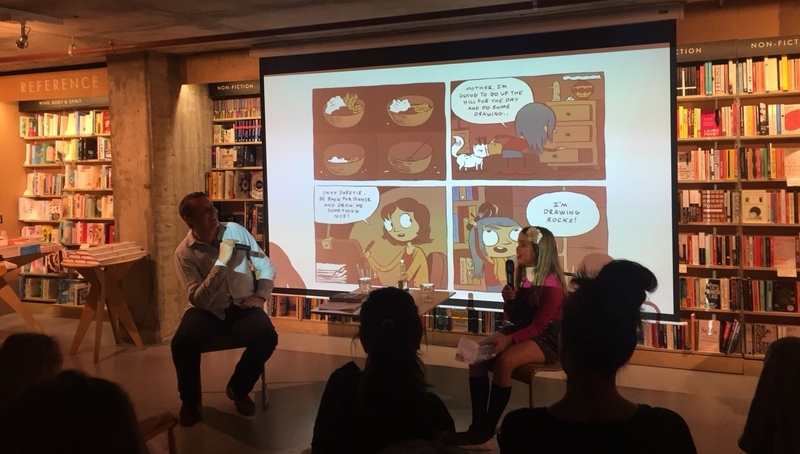 Libby asking the questions at the Hilda launch! Many thanks to all who came, and to Waterstones Tottenham Court Road for hosting. Next Next post: Happy Roald Dahl Day everybody!